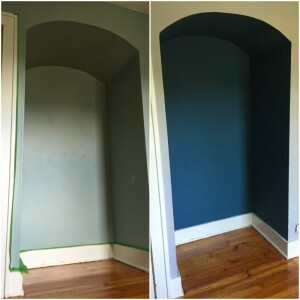 Painting Walls With Chalk Paint® is not only going to give you a beautiful finish, but may be ideal for people with hypersensitivities, according to our customer Carrie. It is also great for walls if you live in an older home with lath and plaster walls. 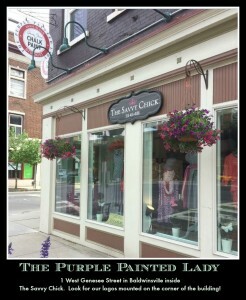 The Purple Painted Lady® LOVES her customers ~ and loves to hear about your experiences with Chalk Paint®. 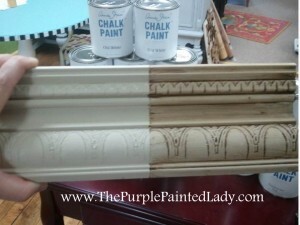 Carrie is one of our customers with a hypersensitivity to chemicals decided to give Chalk Paint® by Annie Sloan a try. 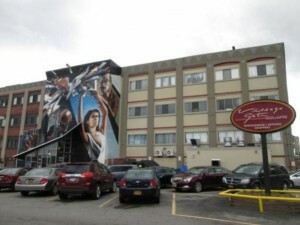 Check out how Carrie painted her entire house! 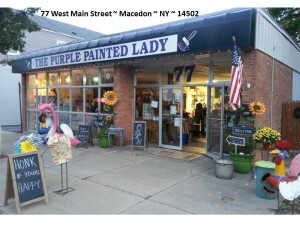 The next week I went back to the shop in Macedon to purchase a quart of paint to try out Chalk Paint® on a small hutch that I had bought. 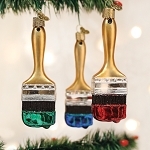 The paint applied easily and looked terrific, but more importantly, I had no negative health reactions from the paint. 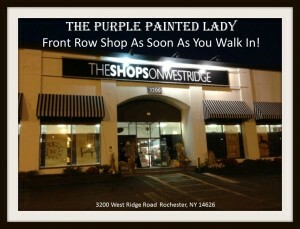 Each time I went back to The Purple Painted Lady®, the employees were helpful and curious about our BIG painting project. 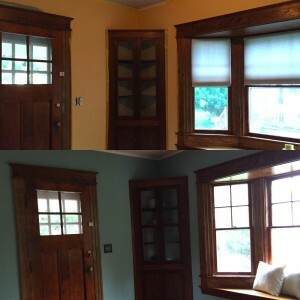 Some of the first rooms that we painted were the living room and dining room. 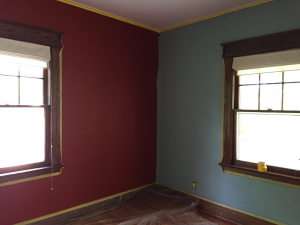 The previous owner had painted the rooms dark red and yellow. We were concerned that it would take several coats to cover the dark red; however, the coverage of the Chalk Paint® was exceptional. 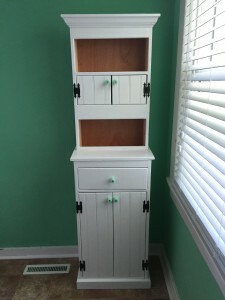 In the photo above – Carrie used Duck Egg Chalk Paint®. Note that it looks darker than normal, but that is only due to the room’s lighting. 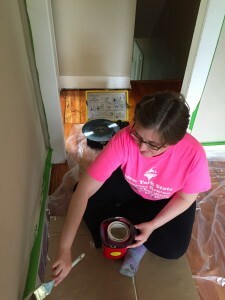 After one coat, my mom asked, “Do you think that you even need a second coat?” The coverage was truly that thorough. 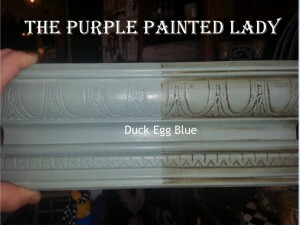 One of my favorite colors that we used was a mix by Courtney at The Purple Painted Lady®. I walked into the shop with a bowl from my favorite vintage dishes, Fire King Jadite. I asked her to match the color as closely as possible. She experimented and mixed until we were both pleased with the color. The results are remarkable. Thank you, Courtney! The color makes me smile every time I walk into the kitchen. 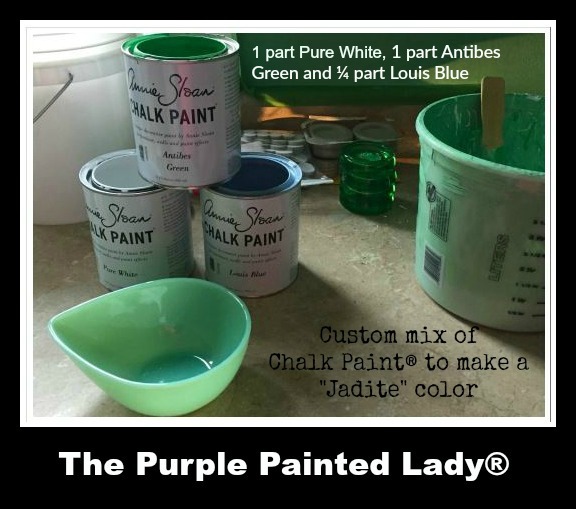 We used (a 2 quart mixing bucket sold at The Purple Painted Lady®) with measure marks to mix the paint. 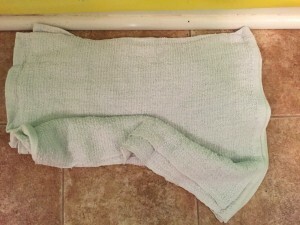 I loved the Jadite color so much that we used it in the bathroom as well. 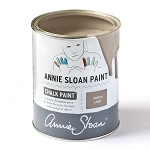 In the library, we used Annie Sloan’s Old Ochre. Unfortunately, we did not take any before pictures of this little room. It was blue above the chair rail and a pinkish-hued tan below the chair rail. 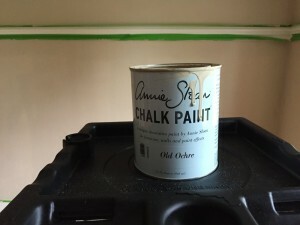 We learned that Chalk Paint® by Annie Sloan can also be used outside. 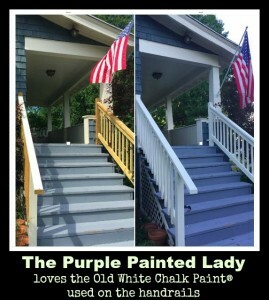 In fact, Old White was a perfect color match with the existing paint on our porch. No allergic reactions, no difficulty breathing, no headaches, etc. 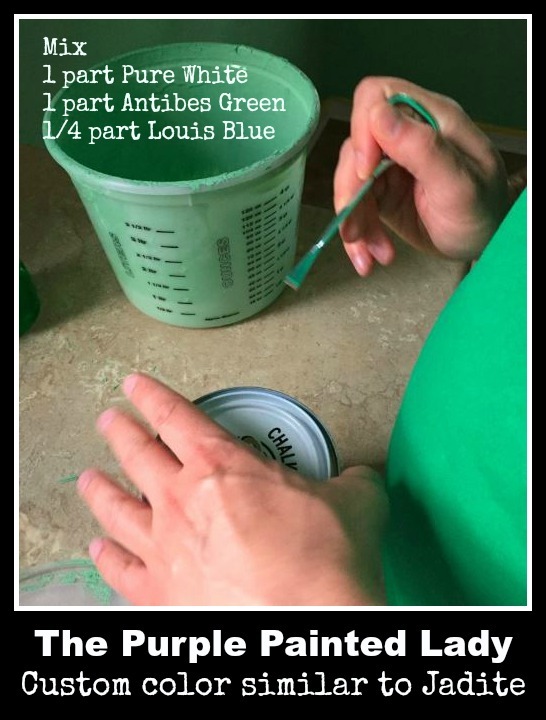 Chalk Paint® cans fit perfectly into the HANDy pails.